Gravitas. Respect. Heck, just some quiet, even! For music audiences and performers alike, Bangalore doesn't have too much to offer in the way of these 'basics', eh? Well, scratch that. Beginning with a music festival last year, the Jagriti Theatre (one of the city's premier locations for serious dramatic events) is now on the map for music. Huzzah! Now there's a formal, dedicated space (no F&B, no yakety-yak, just a focused, listening audience) for music. 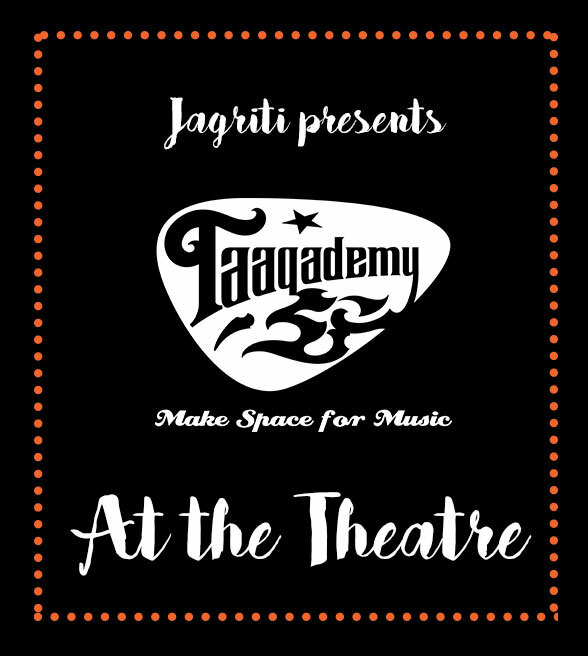 'Taaqademy at the Theatre' will bring some of the city's finest student, amateur and professional talent from Bangalore's favourite music school to this gracious and dignified venue. Choirs, Acapella, Bands, Solos, Duos - expect a veritable smorgasbord of musical variety, enjoyable without distraction! Come 15 Feb (The Ides of February), make your way down to the Jagriti Theatre, Whitefield, for what promises to be the beginning of a series of classy concerts. Make (more) Space for Music!